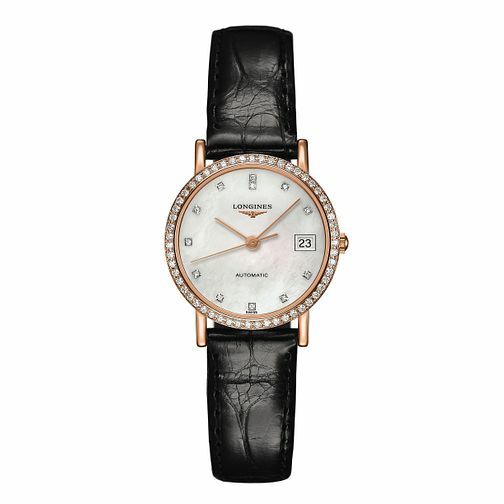 An undeniably sophisticated ladies' black leather strap watch from the Prestige collection by Longines. Crafted with an 18ct rose gold case, and shimmering mother of pearl dial set with diamond markers, complemented by a glittering glittering set bezel. A truly luxurious timepiece for the elegant modern woman.